Home Community Biology Forums Blog Are vaccines safe for children? Most misinformation on vaccines comes from the lack of education on how they're developed, what they contain, and how they work. Personally I don't blame parents for being misinformed because most explanations online are watered down so much to the point where they barely include any scientific information. To really appreciate how they work, you'd need to know a little about the immune system, so knowing a bit of a biology definitely helps to reduce anxiety about the matter. Vaccines were originally designed to prompt the body’s immune system to become resistant to a specific disease or several diseases. They sensitize immune cells for a possible subsequent re-exposure to the organism, thus triggering an immune response. This means that when a person is actually exposed to the real thing by chance, the immune system will have the immediate instructions it needs to generate a response quickly before the pathogen propagates. There are two main types of vaccines that you should be aware of, namely, inactivated and attenuated. To generate an inactivated vaccine, pathogen-specific proteins (known as immunogens) are harvested from the dead organism and mixed into the vaccine solution, prompting immunity in the injected individual; most bacterial vaccines are inactivated. Attenuated (live) vaccines are those that cause an infection within the patient to induce a protective immune response; they contain less immunogen than killed vaccines. 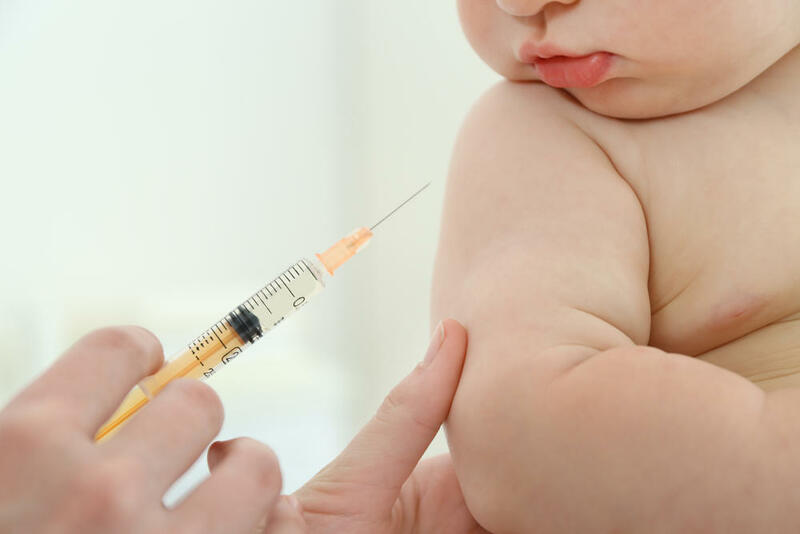 The most common childhood immunizations include Haemophilus influenzae type b (Hib) (meningitis, other bacterial diseases), Salk inactivated vaccine and the Sabin live vaccine (poliomyelitis), MMR (measles, mumps, rubella), diphtheria, tetanus, pertussis, hepatitis B, varicella-zoster (chickenpox). While these vaccines do contain preservatives to ensure prolonged shelf-life and safety from possible microbes getting into the vial, the vast majority of vaccines do not contain the heavy metal mercury, as most people assume. In fact, while there's no evidence linking mercury to autism, 1999 marked the year when drug manufacturers could no longer use mercury-based preservatives as a precautionary measure to decrease overall exposure to mercury among young infants. 1. Vaccines prevent between 2.5 and 4 million deaths every year. 2. Vaccines cause herd immunity. If the majority of people in a community have been vaccinated against a disease, an unvaccinated person is less likely to get the disease since others are less likely to become sick from it and spread the disease. 3. Since 1988, the CDC has reported a 99% reduction in bacterial meningitis caused by Haemophilus influenzae, due to the introduction of the vaccine against it. 4. Most childhood vaccines are 90–99% effective in preventing disease. Side effects are rarely serious. 5. Before a vaccine is licensed in the USA, the Food and Drug Administration (FDA) reviews it for safety and effectiveness. The CDC then reviews all studies again, as well as the American Academy of Pediatrics and the American Academy of Family Physicians. Every lot of vaccine is tested before administration to the public, and the FDA regularly inspects vaccine manufacturers’ facilities.